Robert C. Tucker is professor of politics emeritus at Princeton University and past president of the American Association for the Advancement of Slavic Studies. in Cologne. However, they did not establish their lifelong friendship until they met again in Paris two years later. Engels published several works related to economics, the first of which, Outlines of a Critique of Political Economy (1844), attempted to reconcile Hegelian philosophy with the principles of political economy. His second book, The Condition of the Working Class in England (1845), was a damning description and condemnation of the poverty generated by the Industrial Revolution. 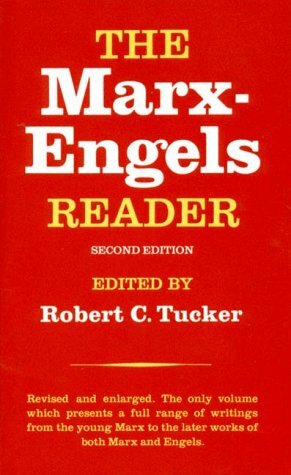 Engels also co-authored three major works with Marx, the most important being the Communist Manifesto (1948). Engels also wrote several historical works, which are more important to historians than to economists. These include The Peasant War in Germany (1850), Germany: Revolution and Counter-Revolution (1851), and The Origin of the Family, Private Property and the State (1884). In general, these works are more descriptive than theoretical, and they closely parallel Marx's views on industrialization and class struggle. In addition to being a friend of Marx, Engels was his prime benefactor for a number of years. During their early years in London, beginning in 1849, the Marx family was nearly destitute, and it was only through the generosity of Engels that they prevailed. Engels was also responsible for the publication of Marx's Das Kapital. Before his death, Marx was only able to complete the first volume of this work, and so Engels edited and arranged for the publication of the last two volumes after Marx's death. Engels was an engaging and thoughtful writer. It was perhaps his great fortune and misfortune that he was connected so closely to Marx. On the one hand, he was responsible for bringing much of Marx's work to fruition in his role as benefactor and editor. On the other hand, the shadow of Marx eclipsed some of the exposure that Engels's own ideas and contributions might have had. Engels died of throat cancer in London, 1895. Following cremation at Woking Crematorium, his ashes were scattered off Beachy Head, near Eastbourne as he had requested.